Work for Microsoft Team Foundation Server? "Great Product, Ideal for Small Development Shops"
"Checkout the changes of the code from server to local workspace easily." I like about this application software is 'convenience'. We can undoubtedly make the shelveset of the progressions and contrast the local box code and most recent code of the server with no problem. Sometime, It sets aside more effort to keep the code most recent or explicit utilizing source control. In the event that you need workspace for both server and the local box, This is valuable software. Simplicity to utilize and effective. In visual studio, We use it for source control pilgrim that contains our organization's venture.It cause us to keep the most recent code from the server to our local box with the goal that we can checkout the records and changes the code according to code exists on server. "Team foundation server helps to manage branch code and control"
TFS is very powerful tool to maintain and control branch code . It can be very easy integrated with visual studio. We can manage code very efficiently and provide branch access to specific developers so that they can sync their work at real time . By managing - TFS helps create historical changesets that can be tracked and each changeset is denoted by Work Item . We can also configure which user can check-in code to which respective branch by modifying user access control policies of TFS. We can compare our code with latest , work branch or earlier changes as per requirement. Sometimes TFS respond time is higher when branch include databases that needs to be published regularly. For making developers focus more on quality and less on managing code and branch TFS is perfect tool with combination with visual studio. through TFS we have implemented our projects that are easy to manage, document, track changes and made latest changes done at server - available to everyone at once . Thus making developers and leads to track changes and maintain branch healthy easy. "Team foundation server - helps to manage code and branch in easy and efficient way with VS."
With TFS it's quite easy to manage , maintain code via integration with visual studio so that each developer or team member can anytime update code and all are able to access code changes at once . We can easily compare code with previous changes, check latest version, specific version of script files. Maintaining branch is easy as all changes can be easily tracked using TFS and proper check in history is maintained as well which helps in code review process. When branch becomes quite big and data base news to be published via TFS then it performs a bit slow but this is nothing as compared to its advantages. Must have to makes developers life easy as it helps in code management , tracking and creating code versions as well. We have managed our development code via TFS here we maintain source code and provide branch access to working developers so that they can use updated System all times that can be check in to branch with association of work items . That makes their work quite easy to maintain and track code changes. "Inconvenient but can be usable "
Integration with Microsoft Products: SharePoint, IIS, and integration with GitHub and git-flow. Easy upgrade process from version 2015 to version 2017. Access via Desktop client and web browser. Code review process, comments without dates and commentator name. The TFS Addon for integration with windows explorer(Microsoft Visual Studio Team Foundation Server Power Tools) has bugs with folders. I spent a lot of time before I found a solution. After a new version installation, you need to change it to the previous version of power tools and proceed with the newest one. I'd say TFS has bad UX and UI. It's hard to find projects and you need to write full ways to add a project. Wiki-pages support appeared only in the version 2017. But wiki-pages has a poor functionality and UI. It is necessary to improve the process of source code check out and check-in. If you use a mac it's used to be a problem. Because eclipse plugin looks ugly and unstable. From time to time, the TFS plugin for eclipse is suddenly closed. I'd recommend accurately think about this solution. It has strong benefits but for Atlassian products users, it seems to be contradictory and too strange. But for .NET development and Microsoft Partners, there is ni=o another way. They need to wait for improvements. At the moment it looks like Microsoft TFS is a weak solution. We use Microsoft TFS as a common entrance pion for our Software development, business analysis, and Change management processes. "TFS - Great application for integration, deployment, code review etc." I like most branch and merge process of tfs. Next to this its shelve set, work item and change sets functionalities. Using tfs we easily maanged the project code in efficient way. Easy to define the security roles on different branch like who can checkin on Dev/Patch/Release/Main branch(es). History of change management is an amazing feature i can review easily when who did what change in a specific script. On TFS Build and Deploy task is simple and pretty easy. Its work space feature allows to me keep different project on different work spaces and can create work space easily. Initially it does require a bit more efforts to use the advanced features of TFS. With the help of Team Foundation Server we managed the our projects code directory in an extreme efficient way. Build and deployment process of this application is much easy and it save lot of time. Improved the code review as comparison of old and new code changes is very easy. Its a great application for software project directory management. "Detailed but not flexible or straightforward"
Technically it can be configured in a lot of detailed way depending on the team. It is more useful for the backend engineers who use it for version control and code review. We primarily use it as a task management system and there is no easy way to attache multiple people to be assigned a task which might be cross-discipline. I prefer more visual systems like a Kanban style board. While it is very customizable, it takes a lot of effort to configure the way I would like it, and then is not flexible or easy to change afterwards. We use it primarily for task management. I would prefer to use a system like Jira or Pivotal which are easier to work with in smaller teams like mine. It is more useful for the backend engineers who use it for version control and code review. "Amazing Product but there is room for improvement"
I like how effortless is moving the stories and how things can get accomplished. Like the velocity task, albeit there are few major graphs could be improved. Keeping capacity of the team and also how swift it is to assign task and track the history of the activity on the board. It is glitchy sometimes. There can be more graphs/data visualization. Putting team efforts into prespective as well as tracking the progress of individual developer on how many stories have been accomplished and how is the progress of the individual member and team going on. We are using it to keep track of our Stories and also use it for keeping repository of code base. "One location for all team members to acccess!" TFS is one of our main tool we use to save all of our source code so that we all have access to one code version. Sort of time consuming since you have to check out any source code. After using it, you have to check it in. Sometimes multiple users will check out the same code but at least you will get the latest version. Sort of difficult to use at first but over time you will get the hang of it. There are many youtube videos that you can use and learn how to use TFS. The problem we are solving to store all our source coding into one location and to have one version of it. Before TFS, we would use our own storage methods which led to multiple versions. TFS solved this issue. "Perfecto para sincronizar con entorno web"
Este control de código fuente, es el perfecto para utilizar con entorno Microsoft, ya que se integra perfectamente por ejemplo con Visual Studio, tiene una interfaz bastante sencilla de utilizar una vez que ha sido configurado, y es muy útil a la hora de guardar versiones, y trabajar en equipo sobre el mismo proyecto. Al integrar por primera vez crea confusión para el trabajo en equipo, ya que por defecto establece la opción de protección local, y si no se modifica antes de empezar un proyecto, puede generar conflictos y pérdida de código al proteger dos personas a la vez un mismo archivo. Sin duda el control de versiones es muy útil como digo para trabajar en equipo y guardar registro de todos los cambios, así como tener ramificaciones y poder tener versiones estables, y modificar a partir de ellas sobre una nueva versión de proyecto. "Control de versiones de Microsoft"
Ni Microsoft Foundation Server es el control de versiones ideal para utilizar con Visual Studio, se integra perfectamente, y te las opciones necesarias para poder trabajar en equipo, y controlar todos los cambios que realiza cada usuario y poder acceder en todo momento a ellos, tanto desde el historial para visualizarlos, como desde el raíz para recuperar una versión anterior. Puede resultar algo complicada la configuración en un inicio si no lo has utilizado nunca, pero la verdad que una vez manejado no es algo a tener en cuenta. Sin duda la creación de proyectos en equipo es un beneficio total, ya que al incluir Team Foundation Server como historial de versiones, puedes acceder a las diferentes funcionalidades realizadas en el tiempo que dure el proyecto. "TFS is wonderful product to work with Team "
my likings are if you are working with TFS you will never miss a line of code. another is you can track each line of code by history who changed and what was it before changed. we can see who are working on the page. sometimes is stuck in the middle of anything and we are unable to check-in or check-out. but that is also in very rare cases. If you are working in the team and would like to be sync all code. I Suggest TFS from Microsoft is a very reliable product. we can track each line of code written by whom and that is with the history. we do not have to take care of sync of code if we are developing a product with TFS and we can call its on a safe place. so no chances to miss anything. It has some interesting features regarding project management / teamwork. Integrationcwoth AD is also nice. If you can, I'd recommend using the Git support as TFVC can be a pain to coworkers with especially if you do any work outside of the Microsoft Stack. 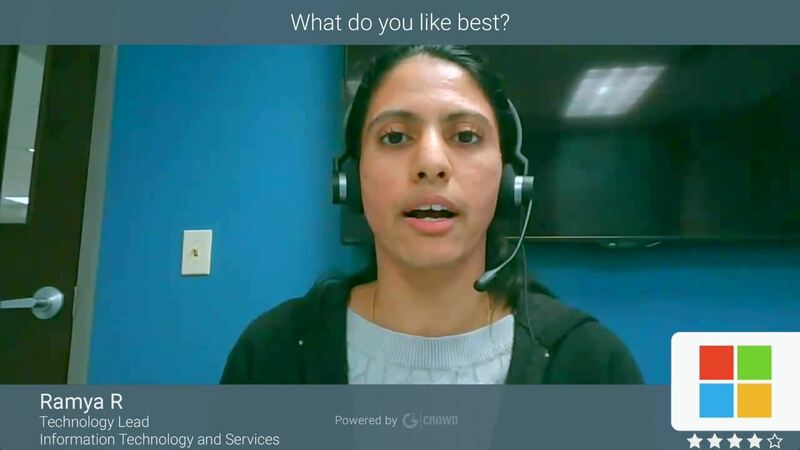 It has a number of ALM tools built in, such as a ticket board, Kanban board, chat rooms, etc.,which may be helpful if you follow any sort of agile practices. It also supports code reviews, which is great. Very poor IDE integration outside of Visual Studio. Poor and confusing documentation with some broken tools as well. The biggest example I've encountered of this is with Jetbrains IDE's. The Microsoft supplied plugin for VSTS required a command line tool that ended up breaking after working fine for several months. I reached out to support, and they were helpful, unfortunately I ended up getting nowhere. Version Control primarily. It allows you to version and back up your code with decent integration with other parts of the Microsoft stack. It also provides a near complete set of ALM tools. "Good Tool for Organized Project Management"
Its Version Management History, automatic Conflict resolution. And the Shelve Feature which help to store the changes without affecting any one page and also not keeping the file in Check Out. Also It Provides Two Different Types of Check Out Option Explicit and Implicit, which sometime helpful when we do not want anyone to make change into particular file. By Default come up with so many features, it is confusing for the users who required only minimal features. Should have Role/Permission management functionality. Sometime hanging up the Visual Studio when try to get latest files. Very helpful to Keep Project In Sync with Version Management. It is helpful to manage our Big Project which is developing by multiple team members. Keeping all the codes in sync on server, so no need to worry about backup and security of code. "The Foundation of Team Development"
It works great and is full of functions and team collaboration tools. I further love that it is seamless within Visual Studio. I also love the fact that Microsoft lately has been integrating with Open Source platforms and technologies like Git and others. Learning curve... (at least in administering it.) I'm sure that once you have it down, it would be fairly simple... but not everything is intuitive enough to automatically know how to use it. If you want a tool that you know works and is feature full then TFS is for your team. It does carry a bit of a learning curve especially with administration... but for those already used to administering Microsoft Products it should feel pretty familiar. "TFS - The test tracking tool you want"
It just keeps losing connection to the server at times. We need to connect again to the server if updates to the laptop is made. Any novice user with a little help can try using TFS because it will lay out all the groundwork for you and help collaborating with the developers easy and beneficial. The team collaboration has become better. Every team member can figure out any details regarding test cases or defects logged. I would recommend this to everyone who are new to defect tracking. "My Review Microsoft Team Foundation Server : (TFS)"
Team Foundation Server is the Source Control for Microsoft which is the center of development for a team. The code is checked in by each developer on the TFS Server and other developers working on the same projects can take the latest from the server and start working on it. Branching is one of the other main features of TFS. Code comparing with the latest version on the server by doing the comparison with the latest option. The code is checked in by the name of the programmer that has made the changes. Other developers receive emails ones one developer checks in the code with all the files that have been checked in. The code can be reverted back to previous versions if any changes have wrongly been checked in or overwritten. If we make changes to a file offline and when open the project online the pending changes are shown to all the files in the project folder. If any new file as added and taking the latest version doesn't show up the added file unless we do show all and include the file in the project. Built in with Visual Studio. Easy to use and branching are the few main features of it. Working on the same projects as a team is the main purpose of TFS. All the developers in the team can work on different pages or features of the project and at the end of the day check in their code on the server. The changes are just reflected in the project when one takes latest on the project - - Get Latest Version. The best thing about Team Foundation Server is it's integration in Visual Studio. The way it is integrated is, in my opinion, very good. You can add, modify, remove files from your project and the appropriate action in Team Foundation Server will be done automatically when you "check in" your code. Another great thing about it is the web interface. It easy to use and we use it to give access to managers who would like to see code changes without having Visual Studio installed on their computer. The thing I dislike about this is not being able to just download a certain project to have as a copy on my computer. In an old version (Visual Source Safe at the time) you could just right-click on a project and select "download locally" and that was it. Now it is more complicated...unless I didn't look at the right place. Team Foundation Server has a lot to offer and, unfortunately, we are not using all of its features. We use it for file versioning. That being said, for file versioning, it does a great job and it integrates well with Visual Studio. We use Team Foundation Server for version control. All our Visual Studio developments are stored in it. It is easy to use and does not require much effort of our part. "Buen programa para el trabajo en equipo con productos Microsoft"
No es solo un control de versiones, su funcionalidad da para muchos mas, es perfecto para el trabajo en equipo sobre un gran proyecto, ya que tiene múltiples opciones configurables para poder trabajar con el mismo archivo, o bloquear dicho archivo para que solo pueda estar en uso por una persona. Lo que menos me gusta, es que por defecto en Visual Studio, el área de trabajo aparezca con la ubicación Local, ya que te crea confusión, porque dos personas pueden trabajar a la vez con el mismo achivo, debería aparecer por defecto la opción servidor. Control de versiones, ideal para el trabajo en equipo, y poder trabajar desde distintos equipos. "TFS - Very useful for Projects Among Big Teams"
The Shelve Feature i like most in TFS. Other features like Version Management, automatic conflicts management and History of Files. And it is secured too. Available Features options should be customizable based on user requirement. Templates should be easy to customize. Good Tool to use for Projects for which big teams are working on different location. Very useful for us for the Project on which various teams are working and all the thing remains on one place. Does not need to worry of sync. We use Team Foundation Server mainly as our git repository for C# solutions. The integration with Visual Studio 2017 is excellent. The UI / UX can be better. All the functions are there, but sometimes you have to search for it. If you are looking for a non-cloud solution for your Microsoft development stack Team Foundation Server is a good choice. We wanted to use git and a local git repository (non-cloud based) to match our Microsoft server stack and development infrastructure. Excelente control de versiones para utilizar principalmente con Visual Studio, se integra perfectamente, y permite interactuar varios miembros de un equipo de manera simultanea, guardando versiones en cada cambio que se realice de los diferentes archivos de un proyecto. Si no lo configuras correctamente, puedes perder cambios a la hora de hacer chekIn ya que los Merge a veces no funcionan del todo exactos. Una de las mejores opciones es poder revisar el historial para ver que cambios se hicieron y porque, ya que puedes almacenar comentarios en todos ellos, puede ayudarte a la hora de corregir errores del pasado. "Does what it is supposed to do and more." To begin with, TFS is exceptionally good as a source code sharing & control solution. The integration with Visual Studio is amazing and automatic/manual merging is great. It is really easy to branch/merge whole solutions. The whole UI for tracking work Items & the Scrum-like board need a lot of work to become more usable. For the time being it is very confusing especially when you have a log of PBIs with information and links among each other. If you use Visual Studio & Scrum then this is definitely the way to go and extract maximum value from this product. If you don't then you will be missing out on a lot of the functionalities provided. The best thing about TFS, for me, are definitely the work boards. Being able to manage workflow using features, stories and tasks has become a cornerstone of our developments process. That the charting feature is a paid additional extra. There are some limits, such as assigning multiple people to a single work item. Give it a test run. If you use Visual Studio or any other MS services I can't imagine why you wouldn't use this. We use it both as a GIT repo, a bug/test manager and for documentation use. TFS is a great tool for planning and execution. We used to follow Scrum in Xerox. Starting from the requirement initiatives - we have it as TFS items in the repository. We have customized TFS in order to manage Initiatives, Epics, Stories and tasks. We had a Sprint board integrated to TFS which helps us to have a better view of our Sprint Progress. In addition we had Microsoft Test Manager integrated to TFS, which helps us to manage our Test cases and generate quality reports in a Go. TFS is a one stop shop for all our planning and execution. TFS has a cost associated with it unlike JIRA,. I would highly recommend this tool for the teams that follow Scrum or Kanban. We were able to utilize this tool in Planning and execution phase in a typical business Agility environment. Starting from Requirement Initiatives, Epics, Stories and Tasks, we have all the needed deatils in TFS. On top of that if we could integrate a visualize Sprint board, that would help our teams to focus more on the Progress. I would highly recommend to integarte TFS with Quality assurance tools like MTM. This would help us to have TFS as single source of repository. We also had builds integrated to TFS. Its also quite easy to query TFS to fetch the needed details. Overall , I would highly recommend TFS - A great tool to work with ! TFS is a one stop shop for all our planning and execution. This is used as our repository to manage Initiatives, Epics, Stories and tasks. Sprint boards, Test Manager and Builds are integrated with TFS - which helps us to have a smooth progress on Team's day today work and maintain high transparency to all the stake holders. "Great way to track progress"
I love TFS. I love the way it tracks bugs, I love the way it manages and tracks deployments to different environments, and I love the way it manages test cases, test plans, requirements, and features, as well as tasks. Our company currently has it set up so that I can access TFS remotely via the web and it has been incredibly useful. The development team also set up a button that allows QA resources to push deployments from our test to our QA environments, which has freed up our development resources considerably. Sometimes I don't have the right permissions within TFS to do the things I need/want to do, and I have to bother the VP of technology for access. Ensure you have a system in plan if you plan to use a different product (like JIRA) for client facing issue reporting. JIRA for example has addons that will integrate with TFS and automatically create issues from JIRA into TFS. We identified a need for a more organized system to keep track of test plans, test cases, and bugs. Additionally, we have begun to use the program to manage our releases and release notes, as bugs and test cases can be directly tied to releases and updated automatically upon deployment. "Great for tracking changesets in Visual Studio"
Easy to track change sets in Visual Studio. Organizes changes well and you know your code is safe and documented. You can easily track back all the changes made to a certain file and annotate inline. This is a must when working in in a Microsoft shop to check code into. Must have for development in Visual Studio. Keeping all source code version and safely stored. Everyone can track all the changes made and pull any version they need. Branching and merging work well. "The one-stop-shop for work tracking, version control and DevOps"
The permissions system in TFS is sometimes a little confusing. Understanding what people can do based on what groups they are in, what those groups are in, implicit and explicit permissions, etc. is a headache. Start with Visual Studio Team Services (VSTS), which is the cloud hosted version of TFS. Once you get to grips with it, you can deploy it on premises or in a private cloud. "good tool for sharing code and tracking work"
i would like to recommend Microsoft Team Foundation Server because of his integration with Visual Studio, and because it's quite easy to use and to do projects with this tool. It's smart and there are not a lot of functions, so it's easy to understand. The online portal and management reporting tools are also quite simple to use but they're also powerful. sometimes it's a little bit slow working with this tools, and when you havn't connection with the server, you can have a lot of error messages. a little bit frustrating, it can be a little bit smarter to handle some problems. However, there aren't any other big issue about that product. I don't know if it works well on platform different from microsoft windows. consider using microsoft team foundation express, that It’s free and can upgrade to TFS professional in a bit. We've used it for some developing projects, and I used it to share and collaborate with other members of the team. It was easy to collaborate and see the project status. It's good his versioning control, history search. It integrates with xcode, ecplise and many others. Team collaboration is smart and is easy to plan future developments. "Used MS TFS as a project manager and developer"
TFS is an easy to use and very flexible software development manager and tracker. It easily allowed our international teams to work together and work on different features at the same time. when developing with a MS tools such as Visual Studio, it makes collaboration and management very easy. The client-server model. It requires a lot of communication and if the connection is broken, all work comes to a halt. It needs to be able to cache changes and then sync them with the server. Also, all work must be done within TFS. Changes made outside TFS will not be tracked. TFS is great for working in a ms development environment. It is a little lacking in developing for non-microsoft environments. Be sure to consider all development needs including testing, bug tracking, version control, and others when deciding on this product. TFS allowed multiple developers in different time zones to work on the same development project. It made development a lot more efficient. "Code share using microsoft TFS"
It can not be use with java based application. for .net framework we can use it easily. If you are developing .net based application with team member. then TFS is best for mangaing code within team. easy to use. start using it. for uploading code on server, for code review , chick in check out code. We can easily find if our code is conflict with other team members. "Powerful, but heavy, and sometimes cumbersome." TFS is a robust ALM platform. It does a lot of things, and is particularly good at integration with a Microsoft stack development environment. QA / Test Manager integration is excellent, providing true end-to-end ALM capabilities for distributed teams. Installation, configuration, and upkeep is substantial. Seems like you need to install every Microsoft product as a prerequisite to TFS (ok, SharePoint, SQL Server, etc.). Web interface is sometimes clunky. We've ultimately decided to transition to GIT and Hansoft. TFS allows us to manage our source code, and track development/QA tasks in a traceable manner. Having a product that bridges source control, and other ALM activities, has been useful. "TFS is a great tool but new features are slow coming"
TFS integrates well with Visual Studio and offers many great features for Scrum, Agile, and CMMI. Integration with git rather than TFSVC gives you the flexibility to use a top-notch distributed version control system while automatically hooking into your backlog. The new build stuff in TFS 2015 has improved our build strategy immensely. * TFS: In general TFS requires a lot more overhead than using GitHub Enterprise as I did with a previous employer. However, TFS gives you reporting, built-in proprietary testing tools, and a slew of other things you wouldn't get immediately with GitHub. Be sure to check out GitHub or BitBucket and determine whether you really need more than an issue tracker and distributed version control system. Sure, TFS and its integration with Visual Studio allow you to "suspend" your work and persists your open windows, tabs, files (everything) to the server so you can get back to it after doing something else... but do you need that? You could go with Visual Studio Online or Atlassian Jira/BitBucket and have maybe 85% of the functionality with less headaches. We use TFS to track change management, code quality, collaboration, continuation integration and build automation. With the new build system in TFS 2015, we've converted monolithic unrepeatable builds which developers struggled to maintain into clear and concise customizable build steps. We've also condensed multiple unrelated build process templates into a single much cleaner template which better represents our processes across projects and teams. TFS 2015 has helped to improve our software quality more than earlier versions of TFS. "Great for software project collaborations"
I like how intuitive and easy it is to use. Once you create a Visual Studio account, you can have your code uploaded and ready to go. It also has a web interface where team can file bugs and issues and keep track of all the updates with comprehensive versioning. This is not a free software. It is a good investment for medium sized team but not for freelancers. It is a stable source control for teams of medium size. It helped us maintain versioning and issue tracking for all our clients. TFS offers a truly team-driven structure, allowing for easy hand-off with submitting and resolving tickets and tracking sprint planning. The integration with Test Manager makes for a very smooth process flow as well. There is nothing that comes to mind as a 'con' to using TFS. It's simply a powerful tool that does it's job better than any other service we have tried. Fluid sprint management, that allows a multitude of users to submit tickets, and admin level users to groom sprints that work well for the team. "Good version control by Microsoft but can be better." TFS is well integrated into Visual Studio which making development in the Microsoft language suite convenient. With the ability to assign tasks and the existence of shelvesets it's quite convenient to review code and to see who is currently working on what. It's not as nice to use as GIT. The dependency on the server is not the best when you want to work offline or want to do some features branch on your own system in your own remote without pushing to the server. Also, server dependency means if the server goes down, you probably won't be able to work. Git would be nicer with the functionality that everybody has a copy of the repository that is on the server. Everyone has their own tastes, definitely give it a try. It may or may not work out for your organization. Version control is critical to see progression of software over time, it's beneficial due to it's centralized location in which everyone can get updated versions. 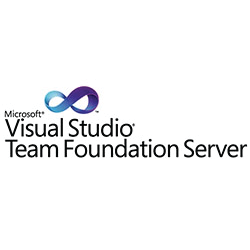 "Team foundation Server for code management and project "
TFS is best integrated with Microsoft visual studio. check in and check out of code is easy. GUI is best. Managed our source code on central server. Many more functionality like project sharing like github can be added. With help of TFS we can manage our sorce code within team. If it is conflicting with others than we can redo also and check in again our code to server. Check in and check out of code on central server. Version control of your whole source code is also possible. "Versioning control and software quality assurance"
I worked with Target Process before, and I miss the ease to quickly see a relevant board of items. We do the stand up using the board, but it's not showing the column headers so we can't see where we must drag the task to. TFS does tend to have a lot of options, so that means it is very flexible for different teams it also results in some clunkiness when you have to put up with an element that you don't use. Managing the Agile development efforts of application development teams including involvement with end customers. "A stick to keep you in check when you are working in Agile"
It works great with Visual studio. I am a database developer and it helped me managing my Database project synced across multiple environments. The best thing about it is I was able to supervise the entire lifecycle of my product with it. TFS can have an Agile approach. A role based approach to make it more better. also while working on VPN, it gives troubles to log in and pull down repository. especially with multiple domains on one system. This can be improved. In terms of security, Continuous Integration and Continuous Deployment , TFS is best out there in market. TFS helped us tracking the changes of our products over the period of time. which was a prime motive of investing in this product. I love the integration with Visual Studio. This makes it easy to keep track of backlog items, bind projects to source control and view the version and history of a project. I also like how it integrates into Outlook for task management as well. So far I have had quite a positive experience with TFS and I haven't quite been able to pinpoint any problems or things I dislike. If one is using visual studio to developed application then for version controlling and code merging TFS is best solution. Many more functionality can be added like git. You don't need to worry about how to maintain consitency of codes beetween whole team. You can use TFS for merging your code with other team members. TFS can take responsibility for version controliing of your application. for project management , version controlling of code and check in check out code on share server between the team. "Best version control and hosting solution"
TFS has provides source code management. Using TFS it's easy to manage code within team. you can check in and check out your code any where any time. TFS can be best solution for version controlling. We can do reporting, requirements management, project management (for both agile software development and waterfall teams), automated builds, lab management, testing and release management capabilities. Using TFS you can share your code within your team and group of projects. When it works, it is really useful to undo mistakes and keep code stafe from catastrophes. The thing with TFS is that it seems to require a lot of manteinance and configuration because most of the times even setting up a new project is a mess that causes the code to be copied multiple times over the computer's filesystem, some files are ignored by the server and sometimes changes dropped or ignored. I would consider instead using a Git solution. Even Microsoft is doing so. The benefits are really clear when it works, code stays safe, organized and ready to be worked by any member of the team. Team Foundation Server is practically counterproductive, there is nothing I like best about this system. There are several softwares that beat Team Foundation Server and are either free or cost way less. As a software engineer with over 10 years of experience and having used multiple ticket tracking, SCM, and automation softwares, this one is absolutely the worst of the worst. Horrible search. Difficult to "quickly" find anything. In choosing this product as a business solution, you will find it difficult to get less technically inclined individuals to be able to manage tasks using this 1990's drill down interface. PBIs or Product Backlog Items cannot be viewed in any other view except as an unordered list. Terrible. What's worse is that if you want to see PBIs on a board view or card column view you must first duplicate the entire PBI in the form of a task this splinters documentation all over the place. Sprint management results in writing down a lot of info on paper on your desk so that you can hopefully remember how to find it the next time. User's of all calibre fail to document progress of tasks etc using this system because it's organized so poorly it will make your head explode. *** DO NOT USE TEAM FOUNDATION SERVER *** This software is usually throw in with other microsoft licensing packages etc to force people to use it or to keep on using it. It constantly wastes everyone's time when they are unable to simply keep track of tasks ( the main purpose of this software ). Product Backlog Items are unable to be tracked on a visual board without having to duplicate them in the form of tasks. This results in splintered documentation and tracking of tasks. Users end up with a lot of confusion with simple tasks and become poorly organized. I am keeping tracking team and individual tasks with about 100 users and we all hate it. So many times this system has failed us. It's not easy to use. It's search requires a new custom query to be created by the user ( like the days before search engines were invented ) and many novice users simply cannot understand even basic logic enough to create a search. "Agile Team Member using Team Foundation Server"
The features I enjoy of Team Foundation Server (TFS) are the history tracking of code, and the entire code repository as a whole. I use it to track my own work and push builds to our integration servers. I find the ease of use and the support of it refreshing from the software that was being used before. What I don't enjoy about TFS is the dashboard and "work" view of it. Our project manager seems to understand it pretty well, but I am always left confused when looking at all of the dashboards and page views. I think that the agile boards can be made much more user friendly, and ESPECIALLY the left navigation and top navigation. It doesn't stand out enough and I find it hard to get to where I need to. I also have many times updated a task, or bug, etc, and then forgot to hit SAVE before exiting. My changes were never reflected and I didn't know that they weren't and why, for a long time. I don't think the save button is large, or clear enough with all of the business going on in all of the panels, on every screen of this program. I would say to go with it because it integrates well with all of the other Microsoft products out there if you are in a large corporation. If you are in a smaller business or team, I would say against it and try to find another software out there that is free and does a lot of the same things, but without the frills. We are working towards the goal of meeting our deadline of our agile projects. We use the agile "work" mode to make sure we meet our goals every two weeks with development, design, and testing, and then we use the code repository built into TFS to make sure that our version control is consistent and that we can push code builds to our various servers. "Good application but unconfortable interface"
I's a very flexible tool capable to gather a lot of information about Development Life Cicle. Well integrated with visual Studio to track features, tasks, source code and testing. The web client is very untrustful. Sometimes information is not loadded and it seems it has been removed. We have to force refresh pages continuosly. It also holds test plans and test executions. Learning about Microsoft Team Foundation Server? * We monitor all Microsoft Team Foundation Server reviews to prevent fraudulent reviews and keep review quality high. We do not post reviews by company employees or direct competitors. Validated reviews require the user to submit a screenshot of the product containing their user ID, in order to verify a user is an actual user of the product. Hi there! Are you looking to implement a solution like TFS?